Chickens sit in cages, they are fed through an assembly line, the transportation of eggs also takes place through the assembly line. The traditional cage system (battery cage) is banned by 2012. Of the alternatives to the battery cage housing the barn is the most well-known. But also the barn chicken does not have much room to move; It is allowed to held 9 chickens on a square meters! 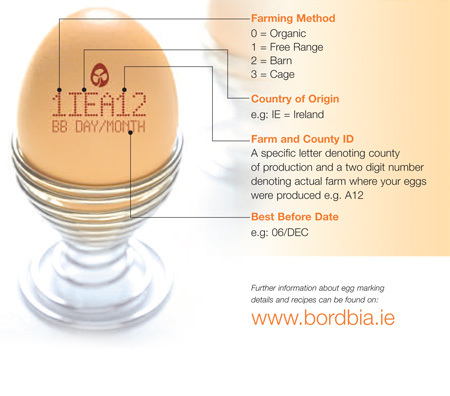 Eggs from chicken which are able to go outside, are called free range eggs. To meet the requirements, the outdoor area must be at least 2.5 m2 per chicken. If the area is10 m2 per chicken, it is called ‘free range extensively’. The latest is not often the case. Organic chicken have the most space per chicken. The way chickens are held has little influence on the total space of eggs. The vast majority of the space is needed for the chickenfeed production . Half of the chicken feed consists of plant foods, such as corn and seeds. The other half of the feed consists of waste from the starch-and margarine industry. Because waste is reused, there is less space and energy needed. The production of eggs is more efficient than that of meat. A kilo of eggs (cooked delivers 12 micrograms of vitamin B12) packed in cardboard takes 24 MJ energy, a kilo of pork (fried delivers 11 mcg B12) 86 MJ, a kilogram of beef (fried delivers 33 mcg B12) has 110 MJ needed. Similar ratios apply for the space required. 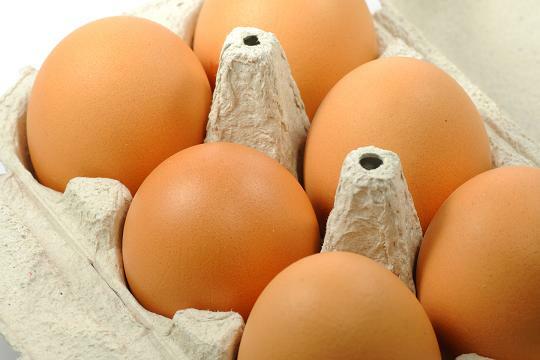 Eggs are a good substitute for meat, since they also contain proteins, fats, minerals and vitamins. How many eggs can I eat per week? Egg yolks contain cholesterol. Cholesterol from foods has a small effect on cholesterol levels in the blood. Therefore “the nutrition centre” recommends not to eat more than 3 eggs per week. For vegetarians 4 eggs per week is no problem. The quality marks are mainly focussed on animal welfare. It is possible that more animal welfare leads to more energy per egg for the production. But we need to consider whether we need in our civilization a set of minimal conditions for food production and animal welfare. Imagine the each other pecking free-range chickens -nine pieces on one square meter-which is actually a living production line.